When you’re working in the ice cream business you work with a lot of teenagers and college students. You’ll also find that turnover is high. 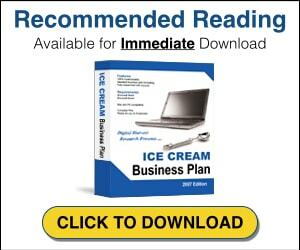 So how do you keep smiling faces that will work hard for your ice cream franchise? We went to Paul our ice cream franchise veteran to ask what his advice is for hiring and keeping winning employees. Here’s what he had to say. “We stayed active in the community and would always take names and phone numbers of good people even when we weren’t looking for them,” Paul said. As you gain experience in your hiring you’ll find that there are some very important questions you’ll want to ask. 1.) who was your last employer? 2.) can we contact him or her? 3.) why did you leave your last company? 4.) do you have any other references? 5.) how many hours do you wish to work? You can refine your list of questions as you gain experience hiring. Print these questions and keep them in a file for when potential employees inquire. People choose their employer based on convenience, the job description, pay and coworkers. Some of these element you have limited control over, but you can work to make your ice cream franchise a fun place to work. If you doubt that just about any location can be a fun place to work, consider the book Fish! A Remarkable Way to Boost Morale and Improve Results by Stephen C. Lundin.This book takes a look at the fun-loving fishmongers at Seattle’s Pike Place Fish Market. People love working there and they are dealing with dead fish! You can make ice cream fun and energize your workplace to attract high quality employees. Try to pay people what they are worth. You will be somewhat limited in what you can offer, but a fair price combined with respect for their schedule, new job skills and a place where they can serve people should help attract the right kind of people. “When you have a good person make sure to treat them well but be careful of putting too much focus on one person. It’s always good to have backups for your best people. Never let an employee get the impression that you can’t do without them because it gives them a false sense of security and may tempt them to take advantage of that position,” is Paul’s advice. There are two different schools of thought on hiring. One suggests you hire a large number of employees to each work a small number of hours. If one quits or doesn’t show up you always have backup. The other school of thought is to hire fewer employees, but make sure to hire those who can work (and want to work) many hours. “I believe that the employees who are given more responsibility and more hours will be more likely to stay longer,” says Paul. The ability to attract and hire top notch employees that have enthusiasm and energy can be a huge advantage over your competition. It’s a skill worth investing some time to develop and learn.